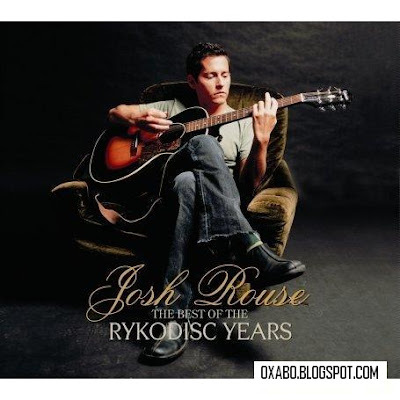 Nebraska-born Josh Rouse started out on Rykodisc where he released five albums and two EPs of literate and engaging guitar pop, which garnered him both critical raves and a devoted following. Now, a decade after his debut, The Best Of The Rykodisc Years collects together highlights from those Rykodisc albums as well as treasures from Josh's own personal vaults, including 7 previously unreleased tracks, to produce over 2 hours of sublime music spanning 1998-2005. The Best Of The Rykodisc Years distills the essence of what Rouse calls his "first stage". Years and musical styles may separate these songs, but ultimately they are linked through the warmth of Rouse's vioce, the conversational ease of his singing and his unfailing melodic gift. From the folk-rock of 'Late Night Conversation' to the knowing country of 'It's The Nighttime', from the smart pop of 'Feeling no Pain' to the rhythmically sly white-boy soul of 'Comeback (Light Therapy)' - each bears Rouse's unmistakable musical fingerprint. Disc 1 features 19 favourites from Rykodisc releases - debut Dressed Up Like Nebraska (1998), EP collaboration with Lambchop's Kurt Wagner Chester (1999), Home (2000), Under Cold Blue Stars (2002), 1972 (2003) and Nashville (2005). Included are 'Directions', a song from Rouse's second album that also appeared on the soundtrack for the Cameron Crowe film Vanilla Sky and '65', referring to the highway that runs through Nashville, which is where he and Wagner recorded Chester when the two were neighbours. Disc 2 opens with the six songs that comprised Rouse's 2001 EP Bedroom Classics, Vol. 1, (pressed in a limited edition of only 750 copies and now an impossible-to-find collectable) and continues with 7 previously unreleased recordings including the demos for "Suburban Sweetheart" and "Christmas With Jesus" and outtake for "Cannot Talk"
You are viewing "Josh Rouse - The Best of the Rykodisc Years (2CD) (2008)"